Business Owners – Does Price-Shopping Cost You Money? 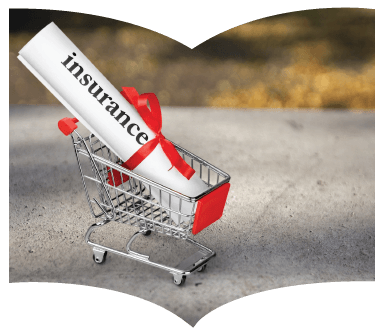 For many companies, shopping insurance coverage annually seems to be simple due diligence. After all, insurance is a significant expenditure, so each year you invite your current broker to re-quote and also bring in new faces to make sure everyone’s using their sharpest pencil. That’s how you make sure you’re getting the very best pricing. Right? The truth is that annual shopping of your coverage will often have the exact opposite effect, and you’ll wind up paying more. This truth is reflected in not only our own experience at Consolidated, but in a comprehensive survey we conducted of underwriters at our major carriers. First, a word about the process: each insurance carrier will quote your account for only one broker, the first one to make a submission. Knowing this, many brokers will “shotgun” your application to several carriers. They have no intention of getting a quote from most of them, but they know that even an incomplete submission will block others from involving that insurer. The result is that your choice of carriers is immediately limited, which again is the opposite of what you were trying to accomplish. And if an underwriter does receive a complete submission, he or she is less likely to prioritize a business that annually solicits quotes from different insurers. They know the account is being shopped widely and that they’re less likely to win the business, so they’ll focus on higher-percentage opportunities. Further, they understand that even if they do land the business it’s likely to be shopped around again next year. Again, this will push the submission down their list of priorities. So if shopping every year is not the answer to saving money, what is? The single best way to make sure you’re getting the most value is to select a broker who takes the time to understand your story and has a proven process to share it with the right insurance carriers at the right time. This positions your organization to be viewed as a best seller in the insurance marketplace and will result in your submission receiving the attention it deserves. Because of the positive results you will see over time, the renewal becomes less stressful, you are in more control of your outcomes, and you are no longer a victim of the insurance marketplace.